The Orryn Novellas are a series of shorter stories set in a fictional dystopian world called The Following, in which a large, powerful entity has (more or less) complete social, economic, military and religious power over planet Earth. 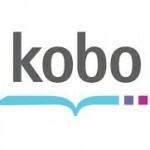 The books explore issues of family, trauma, memories and identity. 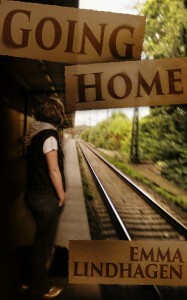 Going Home, the first book in the Orryn novella series, was Emma’s debut novella and first self-published book. It was released on 11/12-2014. You can read excerpts from it here and here. Orryn has a room of her own, a part-time job and, for the first time in her adult life, real friends. If not for her sister’s constant attempts to get her to spend time with her newborn nephew and her new roommate William’s unsettlingly pleasant company, she would be quite at peace. When wardens, officers of the dreaded morality police, arrive in their rural neighborhood for a surprise inspection, the entire group is reminded that their safe haven isn’t as safe as they’d like to believe. 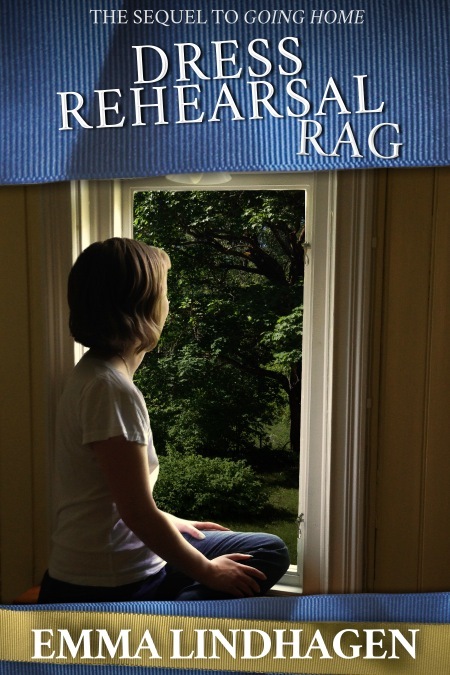 “Dress Rehearsal Rag” is the sequel to “Going Home” and continues to tell the story of Orryn and the others’ life at the commune. Dress Rehearsal Rag is the second book in the Orryn novella series and was published in June 2015. You can read an excerpt from it here.